Many Want to Know: How Are Solar Street Lights Installed? You’re here because something propelled you to search for solar lighting. Maybe you’re the one responsible for the next lighting project for your company, and the budget you have in mind is tight. Perhaps you want to change your company’s energy consumption habits and “go green,” as they say. Maybe you just have burning questions about how solar street lights are installed. Regardless of the reasons behind what brought you here, our esteemed guest, we’ve prepared a guide on how to install solar street lights. We’re happy to shed some light (pun intended) on the inner workings for solar lights–what’s involved, how they function, the whole kit. You’ll still need your manual for solar light installation, but we’re skipping the dry parts. You might learn a thing or two about these lights and hidden benefits you weren’t aware of. Read further to learn how to install a solar street light. You’ve already made your choice on what solar lights you want (and if not, give us a call), so then it’s a matter of doing the job. As with any lighting project, it’s best to keep everyone who isn’t involved in the project out of harm’s way by taping or roping off the area your new lights will shine in. You never know when someone wandering might wander far too inside of your site and turn a project into a liability. Safety first always, so keep the tape around the area you’re concerned with. Erecting a pole for a solar light means you’ll be putting metal objects in the air that have the potential to fall. Falling objects can be dangerous to you and your crew, so use your head and cover it, too. Hard hats, gloves, clothing that provides full coverage, and nothing hanging loose are all safety standards for you and who you’re working with. Remember, the goal is to construct a light, not send someone off to the hospital because of carelessness. With this procedure for solar street light installation, there are multiple factors that define the timespan per light. A proper time estimation for construction per light, initially, is about 2 lights per hour working with proper crews and a foundation that’s already set. Just make sure you have enough sunlight beforehand so you’re not caught with the sun dropping below the horizon–while you’re installing a solar light that’s designed to prevent such situations from occurring. Start surveying the area to determine where the best place is to ground the solar panel. Keep it away from high heat sources and water. If it needs to be near water, the batteries must be placed above the water line–light and power go well together, but certainly not water and power. It’s often said that the best direction to angle the solar panel is in a southwest direction for maximal sun exposure. Of course, keep the line of sight free–there isn’t much of a purpose of solar light if the panel is sitting in the shade of a tree. Having an uneven foundation will surely spell a short life for your solar lighting project, so communicating with a contractor is key in establishing if a stable foundation can be poured, what kind of soil is around the area, and what kind of concrete must be poured. It’s recommended to wait a week after the concrete has been poured with the PVC tube in place for the light to set the light up. Ensure the foundation is flat with a hand level–if not, do not move forward until the contractors have ensured a level surface. You’ve got the safety measures in place, the tools you need are handy, the materials are all ready, you’ve planned out the specific location and angle for your solar light, and the foundation is poured and dried. Before you start assembly, you’ll need to study the electrical diagram first especially if this is your first solar light installation rodeo. You’ll notice what colors are for what purposes and why some cables are shorter than others (some are used for temperature sensing, so don’t clip those). Keep this diagram in mind for later when the actual wiring begins. You’ll need to lean the pole on a support that’s high enough for the fixture. Pull the fixture wires through the fixture hole, where your battery box will reside. Then the fixture arm attaches to the pole with your provided bolts and nuts. The fixture wiring goes into the fixture to the appropriate connectors, and then the fixture slides onto the fixture arm. Tighten the bolts on the fixture so that it’s sturdy. Contain your excitement–there’s plenty more to go before your light is fully functional! 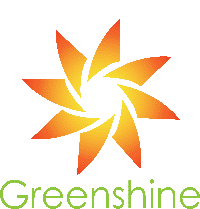 Before the solar panel goes on the light, you’ll need to assemble the mounting brackets together into an assembly with the provided nuts and bolts and then adjust the elevation angle for the angle frame–the specific angle should have been provided on your Greenshine quote, but if not, please contact your salesperson. Once the proper angle has been determined, fix the angle frame to the bracket with bolts. Lay the solar panel down (blue/black side down) onto a protected area, pull the solar panel cables through the assembly, and then affix the mounting brack to the solar panels using bolts and nuts. If you’re lost, please refer to your manual for graphical guides. Once the bracket is affixed, connect the cables from the solar panels to the panels coming from the pole, and ensure the waterproof connectors are well-connected. We don’t want water leaking into wiring for obvious reasons. Test the voltage of the panels using a multimeter (while there’s still light out) and then slide the solar panel bracket onto the pole. Adjust it so it faces the equator when it will be stood up and then secure it with bolts. We’re officially solar! Next, the battery needs to be installed. Pull all the cables through the pole hole, mount the battery box onto the pole, and then route the cables through hole on the battery box. Mount the stainless steel enclosure onto the pole with U bolts. The battery is done! Fix the hex nuts and flat washers onto the anchor bolts (2 for each) and then use a crane to hoist the pole to put it on its foundation. Affix the pole to the foundation and ensure the pole is straight with a hand level. Use a torque wrench to lock all the nuts. The pole is up! If you want to check and see if the solar panel is connected correctly, disconnect the solar panel cables and the LED light fixture should turn on after a few minutes. Refer to your manual to check the electrical connection for your battery–the wiring can get a little complex. We hope this brief solar street light installation guide is informative. Be sure to check your provided manual for more information on battery connections, maintenance, and other information you’ll need to keep your investment running a long time. Feel free to contact us as well if you have any other questions!